For many of us, a new year means a new start. But if you have a criminal record, making a fresh start can be tough, especially if you’re trying to reboot your career. The job market’s hard enough for folks with clean records — how can you hope to compete if you have an arrest or conviction behind you? First, whatever you do, don’t lie on your job applications. Many people with criminal records manage to get hired by fudging their job applications, then promptly get fired when their deceit is discovered. 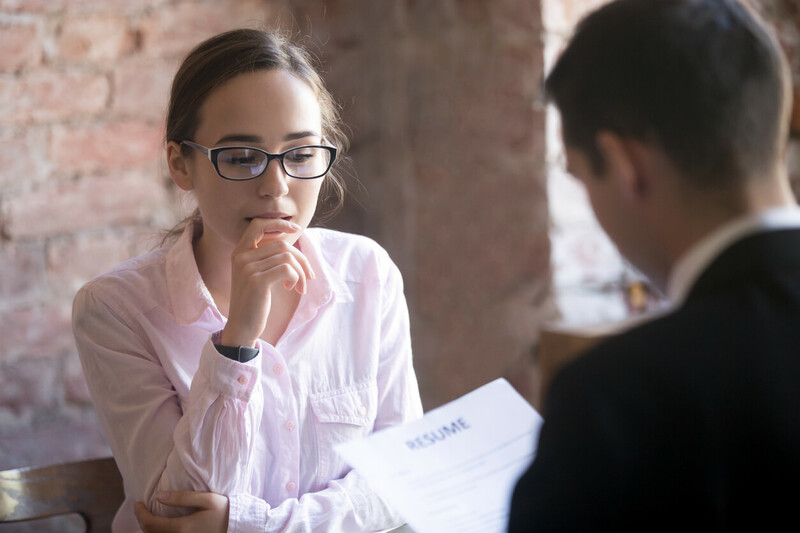 If you’re applying for a job in a state that forbids employers from asking applicants about their criminal history on job application forms, you’re in the clear — simply don’t mention your past mistakes unless specifically asked in an interview. In states like Florida, where employers can ask about your past criminal history, be honest and check that YES box by the question “have you ever been arrested or convicted of a crime?” But if the application asks you to include the details of your arrest or conviction, simply write, “Will discuss during interview.” If the potential employer likes your qualifications, he or she will give you a chance to explain your situation in person. This puts you in control of your story — and gives you the chance to show them what you can offer. When you’re called in for an interview and asked about your history, focus on the lessons you’ve learned, not your crimes. Yes, you need to be transparent about that DUI, but your interviewer doesn’t need to know how many shots you had before wrapping your car around a tree. Instead, talk about the steps you’ve taken to overcome your drinking problem (or whatever problem put you into trouble). If you have a counselor or probation officer who can vouch for you, mention that in your interview. Also mention any professional or vocational training you had while incarcerated and discuss the skills you mastered during this time. In short, show that you own your mistakes and are prepared to be a productive member of the workforce again. Related to the last point, be positive and professional when applying for work. Dress neatly and professionally when applying for jobs in person — there’s a chance they may want to interview you on the spot, so be ready. Remember, everyone you meet when applying for a job is someone who can put in a good word for you, so play nice. Be polite, make small talk if asked, and thank them for their time if they help you with anything. Don’t blame others or frame yourself as a victim when asked about your past history. If you have a bad rap or were tricked into doing something stupid, mentioning it won’t help and may actually make you look worse—no one likes a whiner. The Work Opportunity Tax Credit offers businesses a tax credit of $2,400 for employing people with criminal records. In some states, federal bonding insurance is available to protect businesses that employ people with criminal records. Not all potential employers are aware of these programs. So while you’re reassuring interviewers that you’re clean and ready to work, it’s a smart idea to mention them. Interviewers may be pleasantly surprised to learn there are significant financial benefits to giving you a chance. Everyone makes mistakes, and your past mistakes don’t have to doom you to a lifetime of failure. You know better than to get into trouble again, and you have what it takes to make a clean start. But if any of your friends or family members find themselves in trouble with the law, make sure they call criminal defense attorney Adam Stout. With winning experience as both a prosecutor and defense attorney, he knows what it takes to deliver the strongest possible defense.